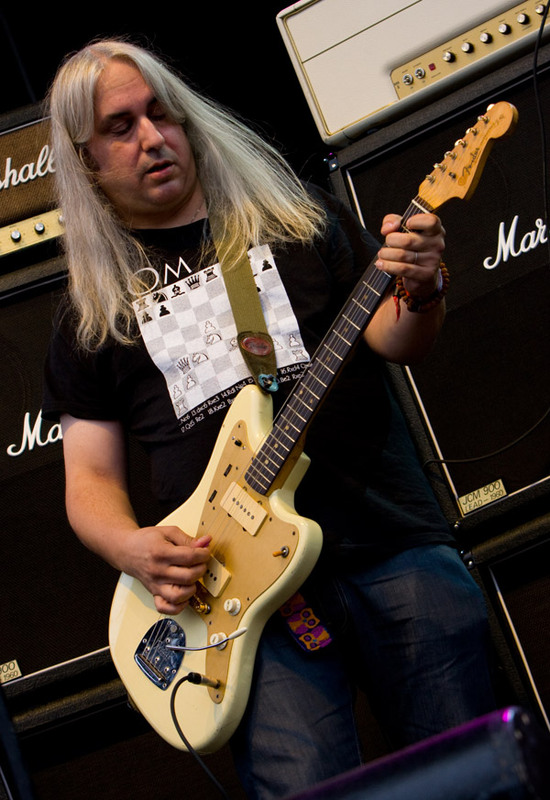 The new J Mascis guitar – it has arrived and its a squier! A squier version of Js fender jazzmaster eould be less than half the price of the signature fender jazzmaster. The original Fender Jazzmaster signature lis quiet different in its looks and probably its quality. The squier is an attractive price point and will suit people on a low budget or those who wish to mod/modify their guitar. The colour scheme for the squier version does distinguish it from the purple fender jazzmaster, Fans would point out that J does not stick to anyone particular jazzmaster colour as the photo below shows, it also gives you an idea why the squier was designed this way.